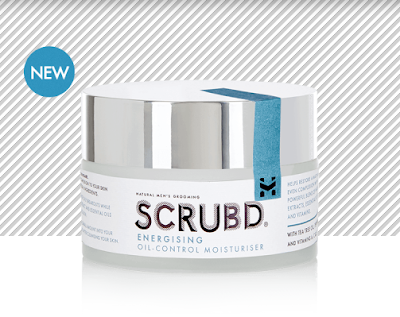 SCRUBD, one of Harvey Nichols’ best sellers in the Male Grooming category, have launched four new products within their Anti-Ageing and Energising ranges; Anti-Ageing Face Mask, Anti-Ageing Face Serum, Energising Oil Control Moisturiser and Energising Shave Cream. New to market in 2017, British men’s grooming brand SCRUBD hand-craft 100% naturally effective soap and skincare for men. The entire collection is hand-crafted in England to meet the demands of men’s skin and uses only the finest, all-natural extracts, botanicals, vitamins and essential oils ethically sourced from around the world. 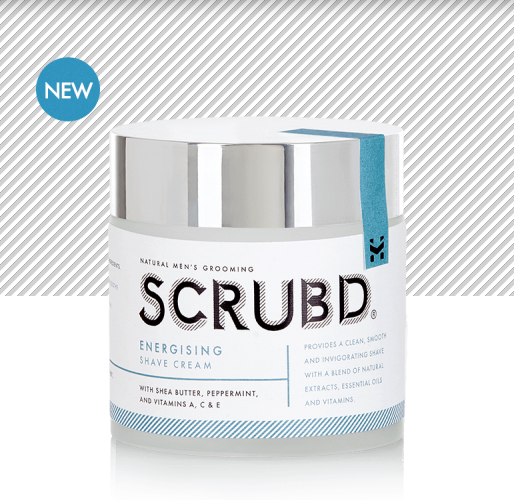 SCRUBD founder, Mark Helvadjian works with leading experts in England to create the SCRUBD signature soap and skincare ranges combining age-old artisan methods with cutting-edge techniques targeting all skin types. As champions of men, SCRUBD is passionate about helping men to feel great in their skin and be masters in every area of their life. 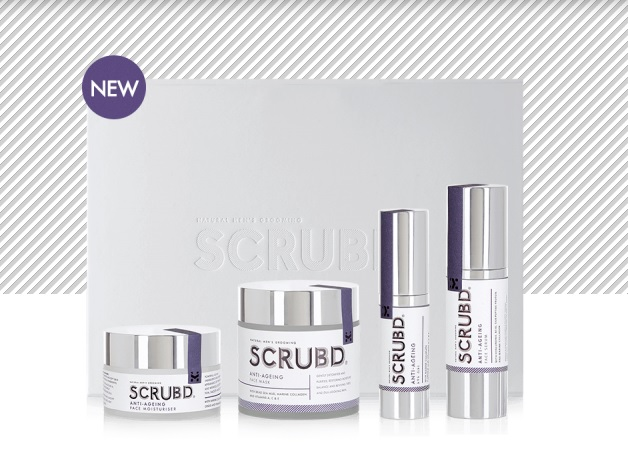 SCRUBD, crafted exclusively for men, was launched in late 2017 and is available online and exclusively at select Harvey Nichols locations. Designed specifically for oily-prone skin this moisturiser is packed with natural Tea Tree Oil. The anti-inflammatory properties of Tea Tree Oil reduce the redness of inflamed skin and dry up excess sebum. Antioxidants Vitamins C and E product against free radical damage from the sun and pollution while Vitamin A adds an extra anti-ageing punch. 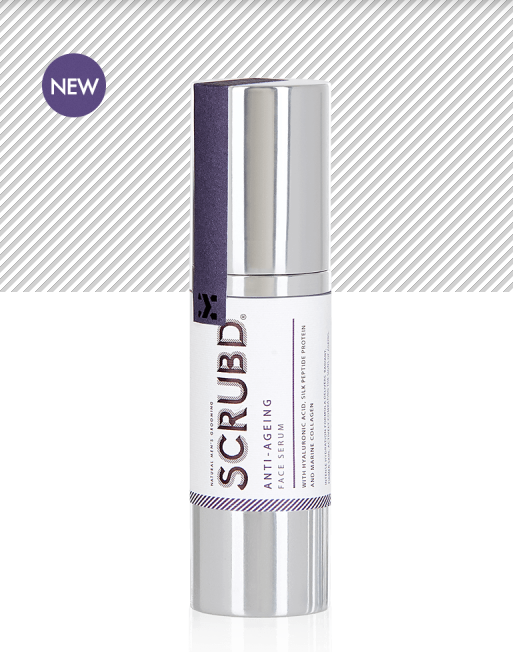 SCRUBD have paired Argan Oil, Peppermint and Bergamot Essential Oils with the above to replenish moisture and invigorate the skin, leaving it looking and feeling it’s best. Shave Creams are vital, but there are rights and wrongs. This cream allows for the cleanest, smoothest and most invigorating shave. Super-salves Shea Butter and Olive Oil work in tandem to moisturise, leaving the skin feeling soft and delivering an effortless glide, as Shea Butter also naturally reduces inflammation. Large amounts of Vitamins A, C and E protect against environmental aggressors, and help to maintain freshness in the skin for perfect post-shave results. 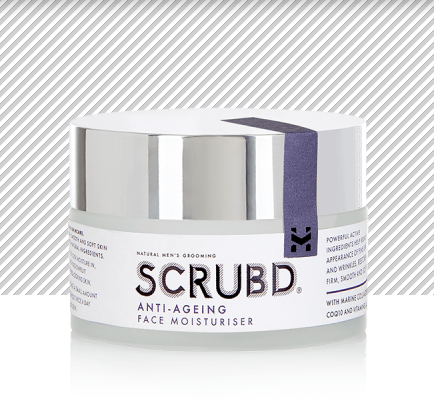 Masks are definitely not reserved for women - using Dead Sea Mud sourced from Israel to purify and restore moisture balance, this mask works hard to draw out impurities and toxins from the surface of the skin, whilst healthy doses of Marine Collagen increase blood flow and reduce the appearance of fine lines and wrinkles. Vitamins A, C and E protect the SCRUBD man’s skin and play the part of serious antioxidants preventing harm from any external aggressors like sun and pollution. Face Serums are everywhere, but this high potency Serum talks the talk and walks the walk. With the perfected levels of Hyaluronic Acid, Silk Peptide Protein and Marine Collagen this serum will give your skin a huge boost of natural hydration. The Silk Peptide will also soften and boost skin’s overall tone, while Vitamins A, C and E protect. This intense hydration formula delivers healthier, firmer skin and actively combats signs of ageing.